Portland is becoming one of the country’s most popular metropolitan areas. That’s not because it’s sprawling or industrious like other cities. Rather, it’s because every part of Portland is jam-packed with unique culture and charm. From quirky food carts to gorgeous Victorian architecture, there’s a place for everyone here. However, finding that perfect place in the city isn’t always easy. We’ve made this guide to highlight some of the best neighborhoods in Portland. Whether you’re looking for a new place to live or just a place to hang out, our comprehensive guide will steer you in the right direction. P.S. Need help with moving? 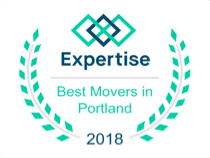 Contact the Portland moving experts at Priority Moving Services for a quick quote. The Willamette River cuts directly through the Portland dividing it between west and east. Over the years, this division has also cultivated a difference in lifestyle on either side. An eclectic mix of craftsman, bungalows, and Victorian homes grace the neighborhoods of the east side, with lots of boutiques, local restaurants, and cafes scattered within. The west features many bungalows and ranch homes, as well as some of Portland’s most luxurious original mansions overlooking downtown from Council Crest, Skyline, and Vista Avenue. Second in importance is the divide between north and south. Burnside Street is the official marker between the two regions splitting Portland into several major zones: Southeast, Southwest, Northeast, and Northwest, and just plain North. Just a hop over the bridge from downtown, Northeast Portland has established its own culture and style within the east side framework. The neighborhoods of Northeast provide an eclectic mix of residential and commercial areas with great public transit. In comparison to Southeast, it is more cosmopolitan and compact. In the past few years, the Alberta Arts district has become the trendy place to be for artists, boutique shops, and small eateries. 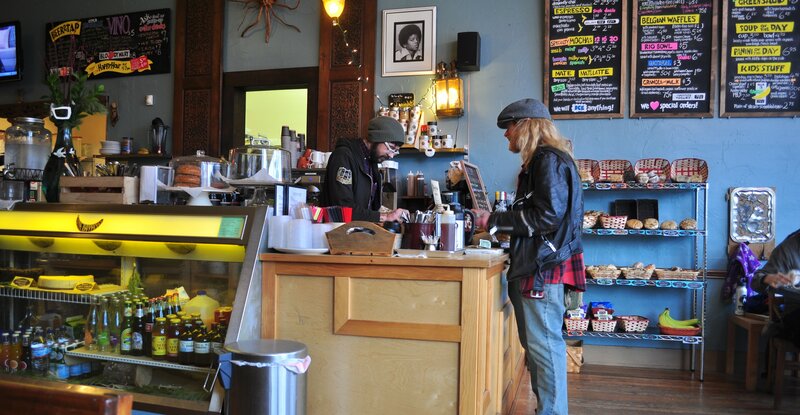 Alberta Street acts as the heart of this neighborhood, which is lined with dozens of hip businesses. Every last Thursday of the month, Alberta Street fills with people wandering throughout the art gallery walk. Many classic Portland bungalows and traditional homes are also located in the surrounding streets. This neighborhood strikes a perfect balance between lively and cozy. Learn more about Alberta Arts District here. Between NE Fremont and 33rd Ave sits the Alameda neighborhood, which is filled with architecturally significant homes, many built in the early 20th century. This neighborhood sits on a high plateau—creating breathtaking views of downtown from some of the larger estates and homes. From the warehouses along the Willamette River to the iconic Ladd’s Addition neighborhood, Southeast Portland provides a variety of more laid-back neighborhoods with lots of amenities. Portland residents from throughout the metro area often travel to Peacock Lane every holiday season, where a street in the Laurelhurst neighborhood with classic bungalow and cottage homes all feature dazzling Christmas lights. Most of Southeast sits on what was once farmland and eventually became part of the city of Portland in the early 1900s. The Hawthorne area of inner Southeast encompasses several neighborhoods, including Ladd’s Addition, Richmond, and Mt. Tabor. Hawthorne Blvd. has a variety of locally-owned shops and restaurants, such as the Baghdad Theater and Pub. This iconic theater, built in 1927 and operated by McMenamins, features distinct Mediterranean architecture as a restored remnant of Hollywood’s Golden Age. 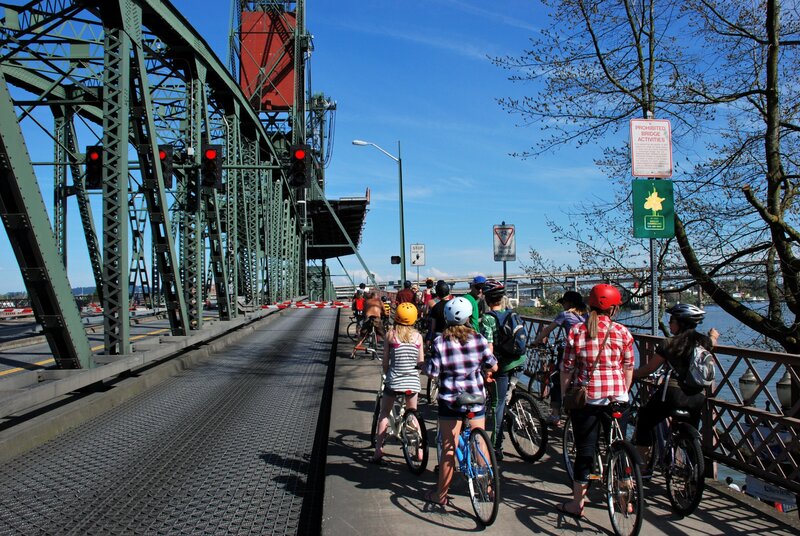 The neighborhoods that make up the Hawthorne district create a very pedestrian and bike friendly atmosphere with a mix of residents from all backgrounds and viewpoints. Learn more about Hawthorne here. Learn more about the Sellwood neighborhood here. Learn more about Bethany here. South of the Hawthorne district sits the lush, foliage-filled Eastmoreland neighborhood. Mostly residential, this community offers lots of stately early 20th century homes on tree-lined streets. Residents enjoy the balance of a great location with lots of amenities in inner Southeast and the seclusion of a residential neighborhood. Learn more about the Laurelhurst neighborhood here. Learn more about Beaverton here. Learn more about Jackson School here. Learn more about Hillsboro here. Learn more about Tigard here.